One of the conundrums of seasonal living is learning to be present in this season while also preparing for future seasons. We may still be deep into winter but it is also time to get ready for spring. For many of us, winter gives us plenty of time if we can find the motivation to set us ourselves up for a successful spring and summer. Do some things now before the soil is ready to work for a more organized and less stressful first round of planting. Take stock of the current seed stash and order what is missing. Do this now, rather than scrambling to the local garden center for last minute replacements. Organize those seeds. Throwing it all into a box to figure out later is likely going to cause frustration. Don't miss anything by keeping it organized. You can do this in a number of ways: file them by planting date or by type of seed/plant family. Get the planting schedule nailed down. It's so much easier to work from a plan rather than wing it and inevitably miss planting something (take it from the girl who's done that). Create seed tape. Purchasing seed tape is quite expensive but it's not at all hard to do at home and can help eliminate all that thinning later. Get the plant labels ready. Take some time now to create markers for all the seeds purchased and just keep them in a container until it's time to plant. So much easier to have the labels ready from the get-go rather than trying to do at the time and mislabeling or forgetting to label at all. Fix a cup of something warm so evening and review last year's garden journal. Be sure to make note of things you wanted to differently or various results and move those things front and center into this year's garden journal. Don't have a garden journal? Make this the year to start one, this is an invaluable resource. Get yourself ready to preserve your favorite foods now so that everything is within easy reach when those first bumper crops are ready. Stock up on canning lids. Look for deals on quantities rather than buying 12 lids at a premium price. Many Amish stores sell them buy the sleeve for a good price and if, like me, you do a bunch of canning buy entire cases for a discount. How is the jar supply? Do you have straight sided jars for freezing? Are there enough of the different sizes for the things you like to do? Half-pints for jam, quarts for sauces, pints for pickles (or whatever suits your fancy) for example. Begin looking now for used jars at discount prices. They'll likely go up in price as spring and summer approach. Are there enough storage containers for dehydrated and frozen goods? Again, look for deals now and stock up. Look for sales on things like vinegar, sugar, pectin, and other long lasting ingredients so that the pantry is ready for preservation work. Buy or make moisture absorbing packets for those jars of dehydrated items. Want to learn how to make delicious jams and jellies or simply find new recipes? Check out my Fiercely DIY Guide to Jams and Jellies. Winter is a great time to go through the closet and make sure everything in there is worth keeping and useful. Does the spring clothing still fit and serve its intended purpose? Are the raincoats still water tight? Are there an assortment of layers appropriate for the local weather? Do they all fit properly? Now is the time to the hit thrift stores or new clothing stores to replace things that will be needed. 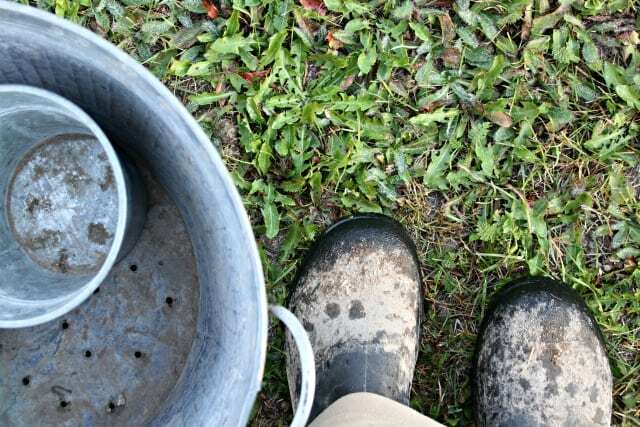 Do those muck boots still keep mud and water out? Are the garden gloves in good shape? If not, find new ones now. 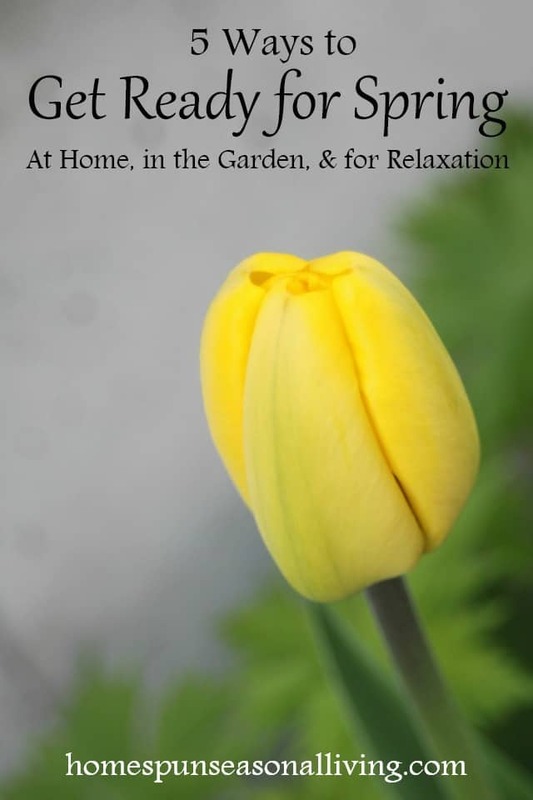 Chances are that once spring weather arrives you don't want to be inside much dealing with cleaning or decluttering or anything else that isn't outside. Get the house ready now so that it can be ignored more or less later. Do the deep spring cleaning as soon as feasible. Wash the curtains, open the windows, clean behind the appliances, etc. Get rid of anything not serving you or your household. Donate unused items to charity. This applies as easily to clothing as it does to books, toys, serving dishes, and more. Clean out the fridge and pantry. Organize items so that you're using up the oldest things first. Have the pantry stocked for quick, easy, and nutritious meals for those days when the garden takes up all the available time and cooking is the last thing in the world you want to do. There's nothing wrong with popcorn for dinner but there needs to be popcorn in the pantry. Spring can get busy and fast. That busyness often means we don't take enough time for fun and relaxation, which is a darn shame because there is so much to be seen and experienced outside of the garden and homestead. Think about annual festivals, gatherings, events, etc. in your local area. What are the ones you want to attend? Put them on the calendar now, buy tickets if possible, and simply make it a priority to attend. Plan a hike with family or friends. Pick a new trail either close by or one that requires an overnight stay. Again, make it a priority and make it happen. Host a party and put the date on the calendar now. Maybe have a party on the first day of spring or for some kind of holiday. Keep it simple but having friends over is a great way to not get bogged down in all the work that will inevitably be happening. So while winter might still be raging outside, use the cold and dark days to get ready for spring. Be sure to include work and relaxation in all your seasonal planning. Garden journal: Great idea. I will get it started. Love your site.